dance.net - Recovering from Irish Dance Dance Inuury (10239030) - Read article: Ballet, Jazz, Modern, Hip Hop, Tap, Irish, Disco, Twirling, Cheer: Photos, Chat, Games, Jobs, Events! How To Quickly Recover From Irish Dance Injuries. This is part of an extensive article that is written on our blog. That will be up around the end of next week. 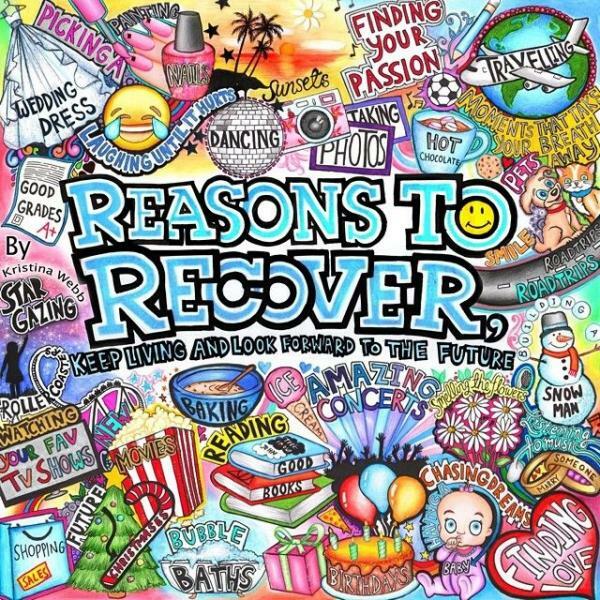 Part of a longer series of articles that help dancers understand recovery. Please note that I am offering general advice and in all cases you will need to consult a health professional, doctor or specialist to ascertain your injury. What I am doing is explaining most of the more common issues for your reference. Young Irish dancers, as well as all competitive dancers, are usually very keen to return to class and competition. However children do not really have the discipline to take the right recovery on their own. In addition, parents generally do not have the knowledge or experience to know when the right time is needed for their child to get to the next level of recovery both safely and medically approved. It is really important to speak with a medical professional, doctor or specialist and, if advised to do so, a physio or sports therapist at each step along the path of the dancers recovery. You know, of course, that your child needs love and encouragement. If you do not fully understand how recovery really works then the dancers down time will be much longer that is needed. Depending on the type of injury you have, it can take days, weeks or even a few months (or more) to make a full recovery. Try not to return to your previous level of activity until you have fully recovered, but gently start moving the area of your body as soon as possible. Start with gentle exercises as this will help to improve the area of injury or sprain’s range of movement. As this movement becomes easier and the pain decreases, stretching and strengthening exercises can be introduced. In most cases benefit from the help of a professional, such as a physiotherapist or sports injury specialist, are all able to design a targeted and suitable recovery programme. While also advising you about what exercises you need to do and the gradual increase in the number of repetitions. Do not try to do too much too quickly, as this can prolong your recovery time. Start by doing frequent repetitions of a few simple exercises, before gradually increasing the amount which have been advised. Minor injuries, such as mild sprains and strains, can often be initially treated first at the venue where you are dancing and then at home using RICE therapy for two or three days. I covered this in an earlier article but I am now adding P for protection to make this P.R.I.C.E. • Protection – protect the affected area from further injury; for example, by using a support. • Rest – avoid exercise and reduce your daily physical activity. Using crutches or a walking stick may help if you cannot put weight on your ankle or knee, and a sling may help if you‘ve injured your shoulder. • Ice – apply an ice pack to the affected area for 15-20 minutes every two to three hours. A bag of frozen peas, crushed ice or similar, will work well. There are also Ice packs available which dancers should consider in their general kit. In all cases wrap the ice pack in a towel or T-shirt etc., to avoid it directly touching your skin and causing an ice burn. • Compression – use elastic compression bandages during the day to limit swelling. This should also be on advice of your doctor in case this constricts an injury area. • Elevation – keep the injured body part raised above the level of the heart whenever possible. This may also help to reduce swelling. I covered this and other techniques in the following article. Painkillers, such as paracetamol, can be used to help ease the pain. Non-steroidal anti-inflammatory drugs (NSAIDs) tablets or creams, such as ibuprofen, can also be used to help ease any pain and help to reduce any swelling. Please note that creams and topical lotions treating inflammation should not be used on children. Aspirin should not be given to children under 16 years of age. However, please read my section on the use of NSAID’s. Creams or topical ARE Not generally suitable for children. Apply with gentle massage only. Avoid contact with eyes, mucous membranes, and inflamed or broken skin; discontinue if rash develops. Do not apply to infected skin; open wounds; or red, swollen, or peeling skin. Hands should be washed immediately after use. Not for use with occlusive dressings. Topical application of large amounts can result in systemic effects including hypersensitivity and asthma (renal disease has also been reported). Immobilisation can sometimes help to prevent further damage by reducing movement. It can also reduce pain, muscle swelling and muscle spasm. Having a couple of inflatable pillows and an inflatable neck pillow can be very useful in temporary support while either at dance class or dance competition. Of course, after treatment at the ER, (Accident and Emergency department in a local hospital), your doctor may make or fit you with slings, splints and casts which may be used to immobilise injured arms, shoulders, wrists and legs while you heal. Casts or support bandages in leg and ankle injury will probably be more common with dancers however. As a general guide if you only have a sprain, prolonged immobilisation is not usually necessary, and you should try gently moving the affected joint as soon as you are able to do so without experiencing significant pain. This is a specialist treatment that can involve techniques such as massage, manipulation and exercises to improve the range of motion, strengthen the surrounding muscles, and return the normal function of injured area. I really need to make a very important point about Physios however. Physios must be seen to be proactive in assisting a speedy recovery. I have encountered some general physios who seem less than interested. My advice is find a good sports physio to work with you. Recommendation is crucial in this case. Word of mouth will help you.